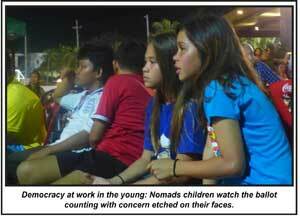 NOMADS - THIS IS OUR HOME…PLEASE COMMENT & SHARE. A must-watch short film about Nomad Sports Club and why you need to help SAVE IT by SHARING IT. Speech of Mike Barker for Cricket Nomads during the Centennial Celebration of Nomads Sports Club. Speech of Tom Whitwell of the Nomads Junior Football Academy during the Centennial Celebration of Nomads. Bill talked about the Manila10s during the Nomads Centennial Celebration. Speech of Matthew Freeston during the Centennial Celebration of Nomads. "The first official soccer football league was organised in 1908, and the championship was won by Nomads, a British Club was has contributed a great deal towards the development of soccer in the Philippines." AND IN TRUE NOMADS FASHION, WE HAVE MISSED OUR OWN CENTENARY BY AT LEAST SIX YEARS. Speech of Andy Yates during the Centennial Celebration of Nomads. 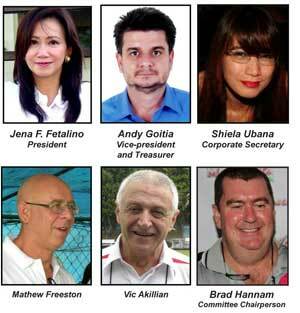 The 2013 UFL season is underway with a new stadium, a new TV deal, and a new look Nomads team. The past two years have seen the top domestic league of the Philippines grow in stature and prestige, mirroring the rise of the national team’s success and popularity. Emperador Stadium, a new purpose built football facility located in Mckinley Hill will play host to this season’s games, with the UFL deciding that the league needed a home of its own. On 14 December the Nomads Cricket 1st XI recorded a convincing 102 run win over the Philippine Cricketers Club (PCC) to win the 5th edition of the Philippine Cricket League and be crowned national champions for the 3rd time. In what has been the most successful season on record for Philippine Cricket with the national league now consisting of 12 teams in two divisions, the Nomads triumph was not straightforward. Ladies Soccer has had a huge resurgence from a few years ago. The Nomads Stretchmarks team (mainly made up of mums and kids) joined the first ever Weekend Football League for Ladies 10 months ago. They are now in their second season in the league which comprises of 6 teams. 32 teams participated in the 2nd Nomads Invitational Cup on February 2 with teams from four age groups. Nomads fielded 3 teams that reached the finals and a girls’ 2000 team. Nomads had two teams in the 2003 mixed division, with the Nomads A-team (aka The Little Monkeys) led by Sam Taylor which was defending their title from the previous tournament. A record-setting number of 169 members cast their votes, in person and by proxy, at the Nomad Sports Club’s Annual General Meeting on December 15, 2012 to elect a new Board of Directors – marking the biggest election turn-out in the club’s recent history. 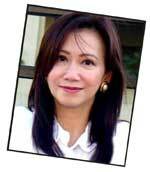 The 2013 Board of Directors re-elected Jena F. Fetalino as President, Andy Goitia as Vice-president and Treasurer, and Shiela Ubana as Corporate Secretary last January 7 during the first Board meeting held at Nomad Sports Club. The Board also re-appointed Brad Hannam as Committee Chairperson, who will continue to be directly involved in the activities of the various club committees as well as coordinate with the Sports Captains. We are pleased to announce a couple small projects which have been completed at the pool area. The outside shower near the small kids pool is used for rinsing before and after use in the pools.Previously it was looking quite shabby and in a bad state so it was rebuilt and retiled, its now is looking good and working fine. Pride and passion. Nomads and their fans. One without the other. The passion that both team and devotee bring to the game is unmistakably palpable in tournaments everywhere; and pride in being part of a historic sporting institution is like a badge that they wear on their chest pockets all day. 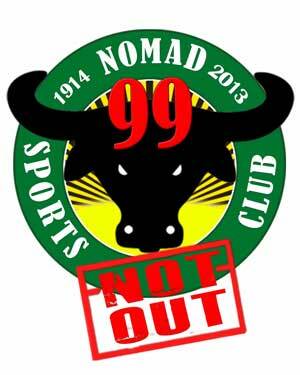 Nomad Sports Club has unveiled a new logo specially commemorating its 99th year of existence. The phrase “99 NOT OUT” is superimposed in red over the familiar figure of a carabao head with the dates 1914 and 2013 displayed with the NSC name. “Not out” in cricket means a batsman remains in play and has not yet been dismissed. In line with the warmer, upgraded decoration of the Main Bar, what could be better than to fill it with our lovely lady members? 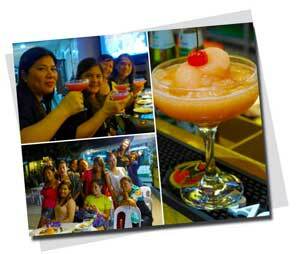 Step one was to talk to our friends at Forth & Tay to see if they could support us by promoting their Bacardi rum brand. 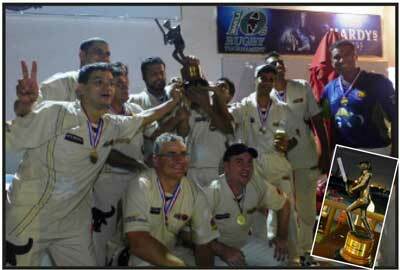 On January 1st, 2013 Nomads hosted the annual lawn bowls competition known as the Hangover Cup. This year’s Hangover Cup had 15 players put in to teams consisting of 3 players each. The winners of the 2013 edition of the Hangover Cup were Arlin Colecough, Anders Green and Fat Cat(Steve Arthur). 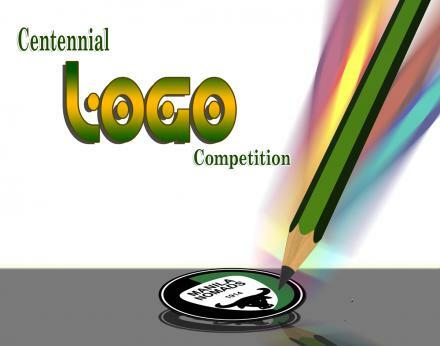 Deadline of submission is June 30, 2013. It should have the "carabao" logo.